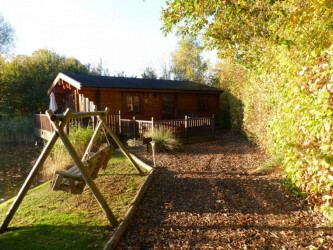 Heron Lodge is nestled in a quiet corner of the site overlooking our main fishing lake. 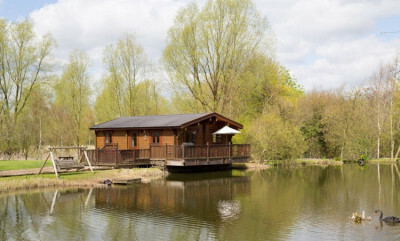 Like all of our fishing lodges, you'll love the tranquil natural surroundings and plush interior furnishings. The outstanding features include a private, secluded 6-seater hot tub, a large, decked patio area with outdoor dining table, a leather sofa and a luxurious four-poster double bed. 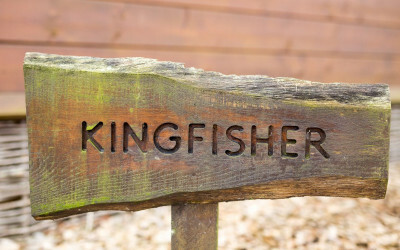 Kingfisher Lodge is based in a secluded location overlooking our pristine middle lake, making ideal for fishing lodge holidays, as well as a peaceful getaway for birthdays, honeymoons and more. Our wooden lodges come with include a private 6-seater hot-tub, a large outdoor dining area on decked patio, luxurious interior furnishings and all the amenities required for a self-catering holiday. Wagtail Lodge is situated in an elevated position overlooking the main fishing lake. Our Suffolk wooden lodges offer outstanding views of the open countryside and you can take full advantage of the evening sunset whilst sitting on your veranda. Private, secluded hot tub to seat 6 people. Large, decked patio area with outdoor dining table. 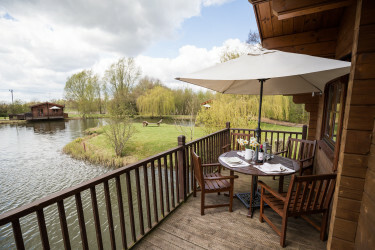 Woodpecker Lodge is situated in an idyllic location overlooking our main lake, making it perfect for fishing lodge holidays. It has far reaching views over the open countryside and offers the perfect relaxing location to enjoy the local wildlife. Private, secluded hot tub to seat 6 persons. Large, decked patio area with outdoor dining table.